Pierre-Georges Jeanniot was born in Geneva but lived most of his life in France, where his father was the director of l'Ecole des Beaux-Arts in Dijon. He began a military career, but produced art throughout his life and concentrated exclusively on painting from 1881. He was a regular contributor to the Salon de Paris, working mostly in an impressionist style and focusing on contemporary subject matter. 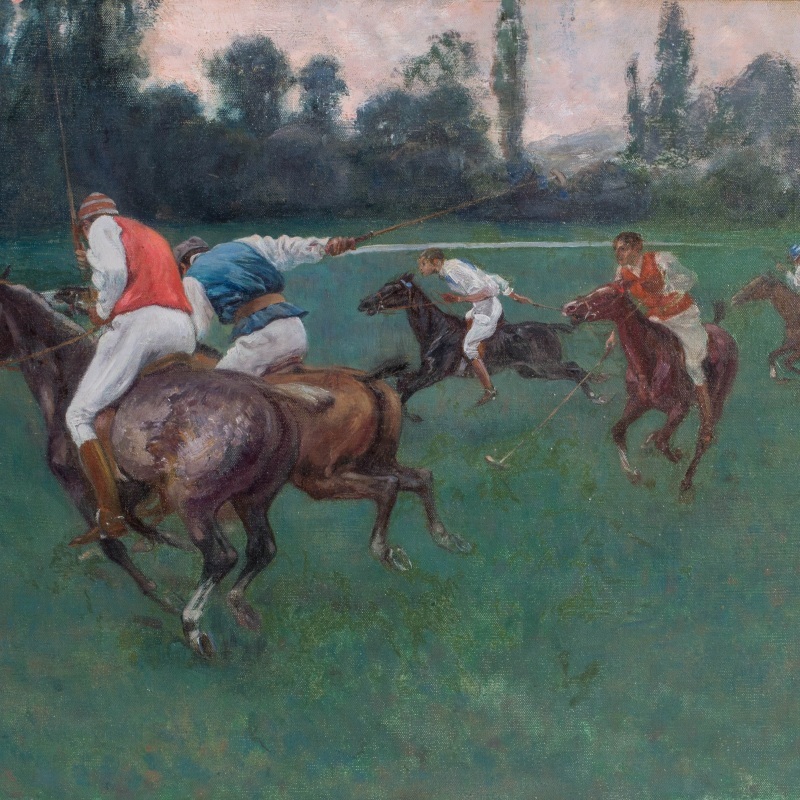 He was a friend of many important Parisian artists, including Edouard Manet, Pierre Puvis de Chavanes and particularly Edgar Degas, who exerted a noticeable influence on Jeanniot's painting. Jeanniot also produced illustrations and engravings. His work can be found in museums around the world, but particularly in France.